Get the Funk Out! 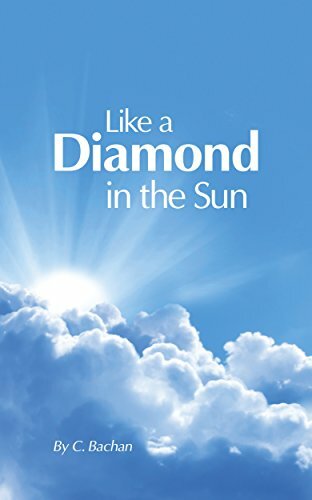 : Author C. Bachan joins host Janeane 10/9/17 at 9:15am to talk about her latest book, "Like a Diamond in the Sun"
Author C. Bachan joins host Janeane 10/9/17 at 9:15am to talk about her latest book, "Like a Diamond in the Sun"
What if you ran out of a beach cave to discover your return path was completely covered by deep water and the only way out was to climb treacherous, sharp edged rocks? What if you were shown how to trek across those rocks through your inner sight and feeling, often hanging on only by your fingertips, as the only alternative to drowning? What if you were in a terrifying storm so bad you were in total blackness and could not tell whether you were on the right side of the road or even on the road? What if you heard a voice that said, keep your eyes straight ahead and I will see you through this? "Like a Diamond in the Sun" is a collection of inspirational, true, personal stories of how the author overcame these and other incidents by relying on the Divine. Regardless of whether you consider yourself spiritual, religious or non-religious, these uplifting, self-help, motivational stories will recharge your energies, power boost your day and make you smile. They tell the awe-inspiring story of the special love that exists for each of us – love that blazes through our beings and world like a diamond in the sun.